Cover Your Ears…they don’t want you to hear this! Everything you ever needed and wanted to know about the music industry from the insiders! Artists, Tour Manager, Producers, Sound Engineers, Authors, and Photographers. Hosted by Brian Geller. Brian is the lead singer of The Atomic Punks – the tribute to early Van Halen and works in ... See More Artist Relations with Ultimate Ears. This is a live stream of pre-recorded talk radio episodes and scheduled live broadcasts about the music industry. 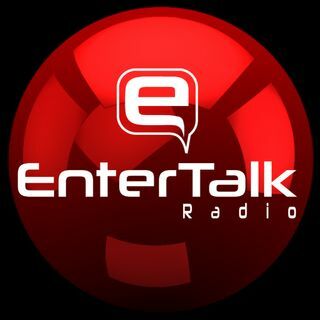 EnterTalk Radio is your entertainment insider. We specialize in radio programming that speaks to the entertainment professional about his or her respective industry. Host Paul Nikolas is an avid musician and the founder of ShowSlinger, an app that connects venues, artists and fans with powerful booking and promotional tools. Paul is an original artist that has toured for years with his band, Foxtrot November. He has written and produced 4 full length records and hundreds of songs over 20 years and enjoys helping build local music scenes with ShowSlinger. GURLZ TALK RAWK is “Where Musician’s Creativity, Finds It’s Voice” and when Gurlz Talk Rawk, people LISTEN! We provide musicians a venue to let loose, talk about their passions, their creativity and the drive behind their original or cover band music & shows. We dive deep into the music biz, spotlighting success tips and ... See More information shared by our guest professionals, all for our listening musicians to better navigate the music industry. We also provide fans a peek behind the scenes to hear from the artists, in their own words, what is truly on their minds and how they feel about the climate of the current music industry. We air live at 6pm every Wednesday, so make sure you tune in. INTERSECT is a radio interview program that showcases interviews with musicians who were once/or still are prominent Christian music artist, discussing how their encounter with Christ not only influenced the direction and intent of their music, but also the direction and intent of their individual lives. The shows will be interesting, ... See More entertaining and inspirational as we learn how these musicians started, their experiences along the way and where they are now as artist and people. At the age of 20, Aaron Smith played drums on The Temptations‘ Grammy-Winning megahit “Papa Was a Rollin’ Stone“, and recorded with Ray Charles as well. In the fall of 1974, Smith toured with Czechoslovakian bassist Miroslav Vitouš in support of Miroslav’s Warner Bros. release Magical Shepherd. After that he studied under jazz drummer Alan Dawson in Boston, from there moving to San Francisco where he was a co-founder of the power funk trio Peter Bilt. From there he went on to join, Romeo Void, The 77s and Rich Mullins‘s A Ragamuffin Band. Smith has recorded, performed and toured with dozens of other artists over the years, including Jimmy Abegg, Michael W. Smith, Margaret Becker, Vector, and many more. An autographed pair of Smith’s drumsticks can be found in the Rock and Roll Hall of Fame, next to a pair of sticks used by Beatles drummer Ringo Starr. JACKIE’S GROOVE is all about Jackie Bertone’s world and the people who inspire him and those who he’s inspired. He talks with the player’s, players about the Music Biz ‘s “REAL “as only Jackie does. Prepare to journey through the rhythm of the music business with Jackie Bertone! In the studio, the classroom, and in my travels, I so often get questions about the creative process, so I created this show to focus on what it takes to have a lasting career in the ever-changing ... See More landscape of the music business. You’re really in for a treat, as I have invited my friends, some of the best and brightest in music, to share their stories. I guarantee you’re going to love it. Time passes quickly, and I’ve learned that we should do what’s in our hearts, and do it well without apologies or excuses. I encourage you to create music in your own unique way and express your artistry with joy and abandon. Be willing to work uncompromisingly for what you believe in. Success will have a better chance of finding you when you live your life with integrity, focus, and passion. Be selfish with your discipline and selfless in your performance. And have fun. Remember, it’s called playing. Marketing has its good points and bad points and depending on how it’s used can either build or destroy brands and companies. May the Best Brand Win will look at what’s happening each week in marketing, branding and public relations and discuss the good, bad and the really, really ugly. Guests will include marketing executives from ... See More leading companies, agencies and even some celebrities. Marketing is an ever-changing topic and you’ll want to be sure to tune in so you know the very latest and best ways to reach your audiences and avoid the many mistakes we see on a weekly basis. Music Gear Talk dives deep into the heart of all things music gear. We "Tech and Spec" out the best of the best sonic devices the music and audio industries have to offer. We get you the inside scoop on what's coming and what you should be checking out. Get ready to discover the gear that moves you. My Jam TV Radio provides a vibrant, bustling hub where bands and solo musicians showcase their music live on air and talk about their passions, inspirations, and aspirations. Music Artists are essentially storytellers and we invite them to share their stories, those that can be expressed in words and those that can only be told through ... See More the emotion of melodies, rattling of strings, the sizzle of amplifiers, the crashing of drums, and through depths of lyrical poetry. The program strives to go beyond mere entertainment, providing a setting that lets bands and audiences find each other, and gives fans the opportunity to hear and get to know artists on a level much deeper than a cursory play-through. NAMM's "The Music History Project"
NAMM’s resident Music Historian Dan Del Fiorentino and co-hosts Michael Mullens, and Elizabeth Dale examine the innovative creations, evolution of musical instruments, the changing world of music retail, music industry icons, and other topics covered in NAMM’s Oral History program. The NAMM Oral History program boasts over 3,000 ... See More interviews and is continually growing. For more information about NAMM’s Oral History program please visit www.namm.org/library. MARY LUEHRSEN is ... See More executive director of the NAMM Foundation, a supporting organization of NAMM that supports music research, philanthropic and public service programs. Among its activities, the Foundation is supporting a research initiative called the “Sounds of Learning” that will build a portfolio of music education research projects that will inform policy deliberations around the re-authorization the elementary and secondary education act (ESEA), the federal education legislation. The Nebula Music Podcast is an interview series that teaches you how to build and grow your music career using social media and other creative ways. Featuring interviews from musicians and entrepreneurs that used social media to catapult their career to the next level, The Nebula Music Podcast will dive into actionable strategies to ... See More propel your music career to the next level, no matter what stage you’re on. Aside from being obsessed with music, I absolutely LOVE space and everything in it. Believe it or not I wanted to be an astronaut for most of my life (haven’t given up yet… just waiting for commercial "Mars Travel" to become a thing). It’s so vast, yet empty. We know so much about it, yet almost nothing in comparison to how large it is. Needless to say, anytime I stare at the night sky I feel inspired. Nebulas are clouds of dust, gas and other space elements that float around aimlessly. These clouds can become almost anything, but they almost always turn into stars. With that in mind, I came up with the name “Nebula Music Podcast”. A series that helps you discover how to use your elements to become the star you were meant to be! A musical showman in the spirit of Gene Krupa, Rich has toured/recorded/performed with: Jason Aldean, Ludacris, ... See More Kelly Clarkson, Bryan Adams, Joe Perry, Jewel, Miranda Lambert, Luke Bryan, Eric Church, Brantley Gilbert, John Eddie, Pam Tillis, Susan Ashton, Deana Carter, Kid Rock, Lauren Alaina, Trace Adkins, Randy Owens, Marty Stuart, Mindy McReady, Rushlow, Gene Watson, John Anderson, Doc Walker, Jedd Hughes, Patricia Conroy, Earl Thomas Conley, Hank Williams III, Emily West, Jo El Sonnier, Jim Brickman, Lee Brice, Steel Magnolia, The Stellas, Kevin Fowler, Bob Seger, Rascal Flatts, Sara Evans, Darius Rucker, Kenny Rogers, Jennifer Nettles, Travis Tritt, Shelly Fairchild, Craig Wayne Boyd, Dizzy Reed, Chris Cornell, Kelsea Ballerini and many others. With so many fresh and cutting edge musical groups in San Diego and passing through on tour, Radio Bandiego provides a vibrant, bustling hub where bands and solo musicians perform their music live on air and talk about their passions, inspirations, and aspirations. Music Artists are essentially storytellers and we invite them to share ... See More their stories, those that can be expressed in words and those that can only be told through the emotion of melodies, rattling of strings, the sizzle of amplifiers, the crashing of drums, and through depths of lyrical poetry. The program strives to go beyond mere entertainment, providing a setting that lets bands and audiences find each other, and gives fans the opportunity to hear and get to know artists on a level much deeper than a cursory play-through. Movies and Entertainment analysis using the latest in beer goggle technology! With hosts Erik Geitner, Christopher Amarillas, Michael “Shark” Kmibell and Paul Berezetsky. Wood. Metal. Circuitry. Speakers. The base components of the equipment that translates the melodies in your head and hands to the audience. From checking out the latest innovative designs to finding out the backstory behind legends and classics, join hosts Paul Berezetzky and Eric Lucero as they explore the ever-growing world of guitar ... See More and bass gear. They will review gear on-air and interview artists about the sounds that inspired them in the first place and how they created their signature tones, as well as the makers and leaders of the new brands changing the sonic landscape. In the community spirit they are here to share their knowledge with listeners and help you find the tone you’re looking for! Eric Lucero is an instrument and audio specialist whose expertise in audio gear stems from years of hands on experience. After years of wondering “How’d they get that sound? !” and amassing large amounts of ostensibly useless knowledge in pursuit of the answers, Eric remains fascinated with anything that can produce or manipulate sound and affect tonality. Paul Berezetsky is a guitarist who, after more than 20 years of playing, has achieved a level of world-class mediocrity. An obsessive tone snob, Paul always looks for the Goldilocks zone in every guitar, amp and effects pedal he comes across, constantly trying to walk the fine line between creating cool sounds and maintaining the raw organic quality of the guitar. Sound Experience explores the vast world of audio production through the ears of your host, mixing engineer and producer Tim Dolbear. Tim explores every aspect of music production while hanging out with professional audio engineers, musicians, and manufacturers who shape today’s music. Sound Experience is an interactive audience driven ... See More show that answers your questions and helps us all strive for excellence while creating our works of art. Welcome to The Changing Stage. This show is all about the music industry and the dynamics every professional in "The Biz" faces. We talk to the movers and shakers who define this business from "The Top Players" to the Gear Manufactures. Discover where we've been and where we are headed in this business called ... See More music. The Vinyl Night radio show features some of the best and most influential people in the music industry. Each week will feature an intimate, candid and in depth one on one interview with drummers, guitar players, bass players, keyboard players, recording engineers, singers and producers. All of these great artists contributed to music ... See More that changed the world.